Unless you’ve been living under a rock for the past few years, It’s pretty safe to say that South Korean pop groups have been topping the music charts of America. Although they have obviously always been a staple of Korean pop culture, they are taking over the west by storm and I don’t see anyone complaining about it. Many think it’s completely absurd how much the K-pop genre has erupted internationally considering the majority probably does not even understand what songs are about, without Google Translate. With the talent and grit that many K-pop artists/groups have, it’s almost impossible not to love the addicting melodies and precise choreography that come with every single song. It started spreading like wildfire when K-pop singer, Psy, broke the record of being the first video to reach a billion views with his single “Gangnam Style” on YouTube in 2012. Since then, several South Korean pop groups have debuted their way into the music industry with upbeat rhythms and vividly produced music videos. 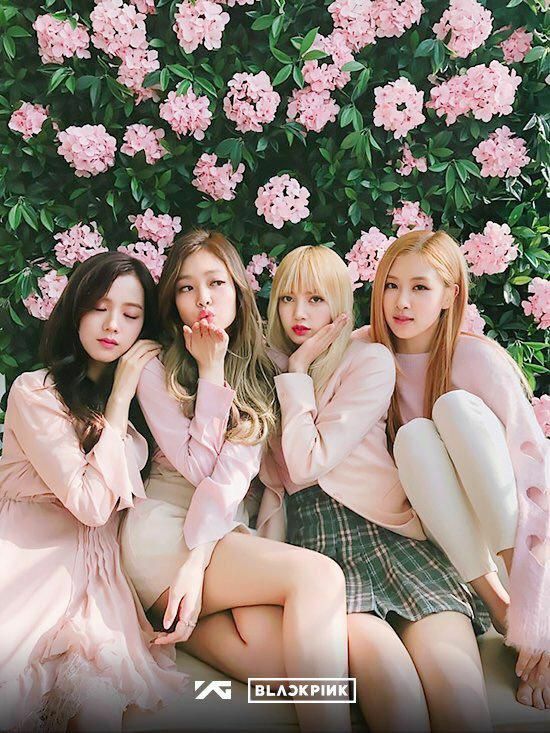 Of the many groups, one of the most successful includes the extremely talented girl group, BLACKPINK. The four-member group kickstarted their music legacy in June of 2016 under YG Entertainment, one of the largest South Korean record labels. Though they are a K-pop performing group, the only two members who were born in Korea are Jisoo and Jennie (although she was raised in New Zealand). While three of the four girls are of Korean background, Lisa is from Bangkok, Thailand. She moved to Korea to train for her K-pop career during her middle school years. Since the beginning of their career, they have had several accomplishments to be proud of. After all of the worldwide publicity, BLACKPINK has officially been the very first K-pop girl group to be invited to perform at Coachella, one of the biggest music festivals in the states. This is a pretty impressive accomplishment and should be a hot topic considering they had not ever stepped foot on American soil, until February of this year. They were chosen and placed to perform on the first day of the weekend-long festival alongside heavyweight artists like Childish Gambino, The 1975 and Diplo. Shortly after announcing their feature on the lineup for Coachella, YG Entertainment dropped dates for BLACKPINK’s first-ever tour in North America. American music should step up their game. Only because if they don’t, sooner or later all of K-pop’s hits are going to end up overthrowing the typical mainstream songs we hear on the radio. Victoria is a Freshman at VCU majoring in Mass Communications with a concentration in Journalism. She dreams of pursuing a career involved in Fashion Journalism and enjoys writing poetry in her free time. She loves traveling and learning about new cultures and cannot live without bubble tea.